Definition: Petrissage is a moderately deep massage technique performed in a rhythmical manner attempting to manipulate the muscles beneath the superficial tissue layers. The petrissage techniques are executed using the palms, fingers or thumbs, or a combination of these. Some less used variants include using fists when executing. Description: Petrissage moves are deep and they are performed on muscular zones on the body. Petrissage can be painful at times so the practitioner has to adjust the firmness according to the client's pain threshold. The origin of the work is the French word "petrir" which can be translated as kneading, or working the pastry dough. As a matter of fact Petrissage is very often referred to as kneading. Most of the petrissage techniques are better performed without any lubricant. The effectiveness of grasping, rolling, squeezing the skin and muscles beneath is negatively affected by using lubricants. However, there some petrissage techniques adapted to the use of massage oil. Petrissage is a broad term to describe various massage movements targeting the underlying muscles. The petrissage techniques have in common a rhythmic, alternating, push-pull motion, the most common being the kneading. Other petrissage techniques are wringing, skin rolling and lifting. Some of the benefits of effleurage are: improved muscle blood circulation, increased muscle tone, deep muscle relaxation, improved gaseous exchanges, (better oxygenation). Note that this petrissage technique doesn't need massage oil, and in fact is better executed without a lubricant for a better grip. Skin rolling consists of lifting the skin and then rolling it between the fingers in a methodical manner. Skin rolling can be used as an assessment method, to evaluate the tonus of the skin and fascia, and for any fascia restrictions. First the tissue is lifted and then squeezed, and then released and the action occurs between the thumb and first two fingers of the therapist. We can define it as a partial skin rolling. The wringing is a pull-push movement, the tissue is being pushed with the thumb of one hand, while pulled with the fingers of the other hand. Wringing is very comonly performed on legs and hands, and on back after the lubrication. Many petrissage techniques are easier to perform without lubricant so after applying massage oil is difficult to execute them. Wringing is a petrissage variant that can be easily performed after applying massage oil or lotion. It is a dough kneading movement as the name suggests it. The hands are either synchronized or alternating in a fast sequence. The massage therapist grabs as much muscle as possible and then squeezes the tissue with moderate pressure. After releasing the squeeze a compression follows finalizing the cycle. Milking is a form of kneading which uses both hands to grab onto a large muscle group. You grab the muscle with both of your hands, and start squeezing with one hand and then the other, alternating rhythmically and rolling the flesh. This kind of stroke can be performed on the shoulders, upper arms, thighs, and calves. A set of various petrissage techniques, with and without the use of lubricant. Note the practitioner's great technique and skills. Milks the muscle of waste products. Can help to free adhesions. Increases blood circulation and muscles nutrition. It is one of the most important moves and it brings the patient the most pleasure. Although there is a very fine line between effleurage and petrissage the two of them have different effects on the subject. While effleurage is almost always relaxing, petrissage is rather stimulating. Follow the general massage contraindications. Extra care is needed for atrophied muscles and in severe cases is even contraindicated. This is one of the best anti-inflammatory. Although is not approved by the FDA, it works better than many pharmaceuticals. 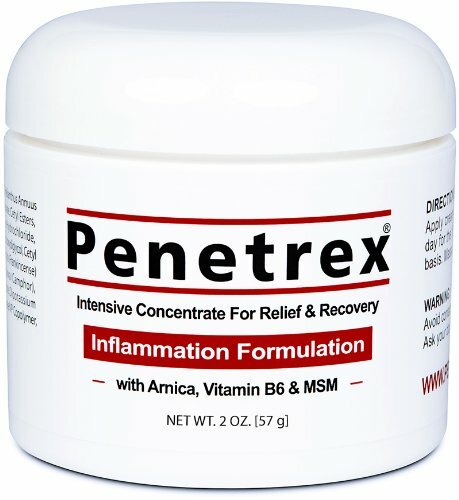 It is very good in conjunction with petrissage, and friction techniques, because that's how it penetrates the skin the easiest.